At some point in the next two months the Yankees will trade for a starting pitcher. Who exactly? I’m not sure. I am confident it’ll happen though. Sonny Gray is still lost and no one really knows what to expect from post-elbow injury Jordan Montgomery. Even if Montgomery comes back and is great, the Yankees could still use another starter. The big name trade target right now is Cole Hamels, mostly because he is an impending free agent on a terrible team, but also because people are sick of talking about Michael Fulmer and Chris Archer. The Yankees saw Hamels last week and he pitched well against them, and nothing gets fans’ attention quite like pitching well against the Yankees. The Blue Jays are a very distant fourth in the AL East and they are competing with no fewer than six teams in the Wild Card race. 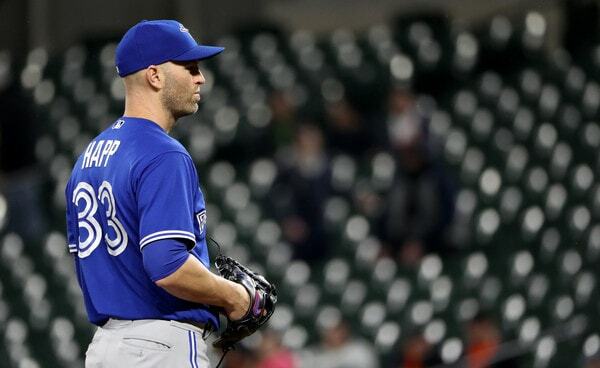 Happ is an impending free agent, so unless the Blue Jays make a miraculous run at some point before the deadline, one of two things will likely happen: Either they sign Happ to an extension or they’ll trade him. As for the Mets, they have crashed back to Earth hard since their 11-1 start. They split yesterday’s doubleheader with the Braves to drop to 26-25 on the season. There are three teams ahead of them in the NL East race and seven teams ahead of them in the Wild Card race. It’s not difficult to envision them slipping even further out of the race going forward. 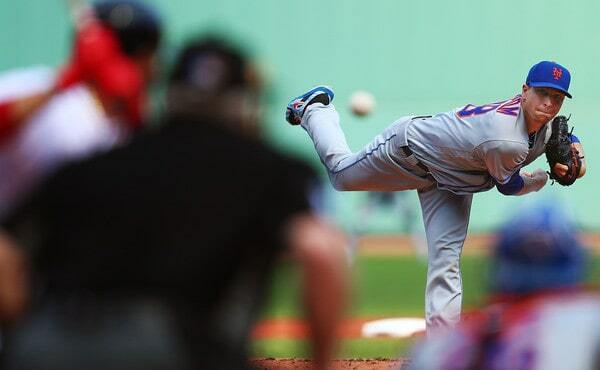 The Mets trading deGrom is, obviously, a much greater long shot than the Blue Jays trading Happ. Happ’s an impending free agent and they might loose him for nothing after the season. deGrom is under team control through 2020. Keeping him would be a very defensible move. Heck, he might go down as a top four Mets pitcher all-time. If Happ and especially deGrom become available at the trade deadline, it goes without saying the Yankees should get involved. Both represent rotation upgrades and are pitchers any team could comfortably start in a postseason game. That’s what the Yankees are looking for, right? Not someone to get them through the season. They want a true difference-maker. There is one small problem with the Yankees trading for Happ and/or deGrom: They play for rival teams. The Blue Jays are a division rival and intradivision trades are always tough. There’s a reason they’re uncommon. As for deGrom, it has been a very long time since the Yankees and Mets made a significant trade. Imagine one of this caliber? Involving a true ace? Goodness. Trading with a rival is not impossible, just complicated. The Yankees have the young talent to beat any trade offer. They’re not at a disadvantage there. It’s just a question of whether the Blue Jays or Mets will trade with the Yankees, and if so, what’ll it cost? Will the Yankees have to overpay to make it happen? It’s easy to say that, if the Yankees make the best offer, the Blue Jays or Mets should take it, but we know things aren’t that simple. PR hits matter. In a perfect world the Mets will continue to fall out of the race and make deGrom available. He’s my ideal trade target. He’s excellent and under control another two years. Tell the Mets to take any four players not on the MLB roster and call it a deal. If that doesn’t work, Happ would be a fine consolation prize (at a much lower price). The trade market will develop over the next few weeks and I am certain a few surprise names will be made available. It happens every year. Happ and deGrom stand out as potential trade targets given their teams’ situations, though both guys plays for rivals, so the Yankees could have a hard time swinging a trade. Enough of a hard time that they may have to look elsewhere.